In 2011, I was invited to create a sculptural installation and performance for Broadway Gallery NYC's Global Arts Projects. “Encrusted” is a site specific installation inspired by seashore landscape and islander cultures in Taiwan. It is the encrusted memory of my hometown. The installation consists of multiple sculptures in the shape of barnacle colonies. Each barnacle cluster is lit by LED lights and contains a miniature sculpture reflecting vignettes of human activities on and by the ocean. 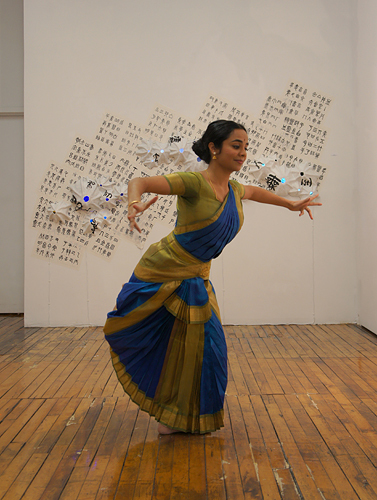 Bharatanatyam dancer/choreographer Malini Srinivasan was invited to choreograph a short dance specifically for the installation and perform on the opening reception on Feb. 10, 2011 at Broadway Gallery in NYC. The video documentation of the performance was projected above the installation during the exhibition period and can be accessed here. 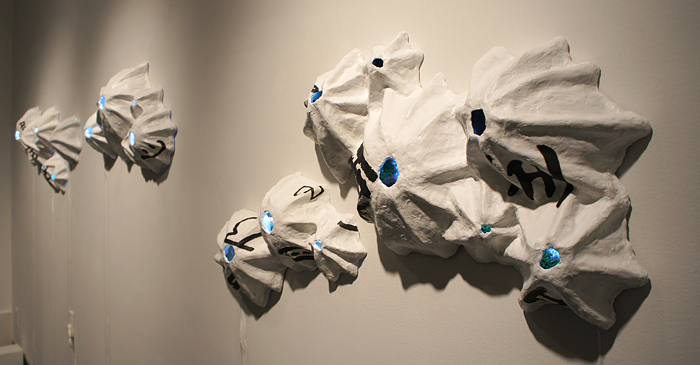 “Encrusted” 2011, mixed media installation, 7'x9'x1'. 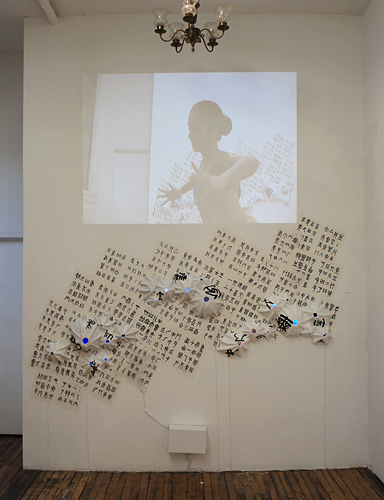 Installation view at Broadway Gallery, New York, NY. Live performance by Bharatanatyam choreographer/dancer Malini Srinivasan.